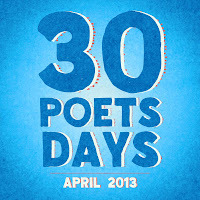 I'm thrilled to announce the 2013 edition of 30 Poets/30 Days, an April-long celebration of children's poetry that takes place here at GottaBook. Am I excited? YES! Yes, I am. Now, there are a few easy ways to follow along and not miss out on any of the fun. You can visit here every day, of course. Or you can subscribe to GottaBook via email or your blog reader. Robyn Hood Black shares a poem by Monique Gagnon German... as well as the very Poetry Friday related story about how she came to the poem the first time. Over at Great Kid Books, Mary Ann Scheuer features the creativity-loving Dreaming Up by Christy Hale. Looks like a great one to share. The Misfits is on view over at Gathering Books, as Fats uses the poem (and a bonus TED video) to continue their celebration of Oddballs and Misfits. There's a Douglas Florian spring poem blooming over at Reading to the Core. Spring's arrival brings National Poetry Month, so I'm a big fan. It's the poem she didn't submit! 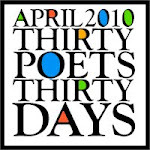 Over at A Year of Reading, Mary Lee Hahn (one of this year's 30/30 poets, by the way) shares a poem she wrote for March Madness Poetry... but didn't send in. A Carl Sandburg book called Wind Song (complete with his note that begins "Dear Young Folks"!) is the launching point for beautiful photos and poetry at A Wrung Sponge today. Utterly fantastic Police Poetry (yes... poetry by police) is on the plate at The Opposite of Indifference. You gotta check these out. Liz Steinglass offers up more Madness - her round two poem using the word exertion as well as another poem she tried using the same word. Love the glimpse of process! Wanna see an original poem about wishes? Exellent! Because that's what's up at the ever wonderful Poem Farm, Amy Ludwig VanDerwater's poetry rich home on the web. Book spine poetry (and rhyming, at that!) is on the shelf at 100 Scope Notes. Well done, Travis. Well done! Ahh! Alliteration and an awesome apoetry astarter aby a-Laura Purdie Salas! Seriously - her I Am Fog is up as is a video for teachers or writers to use it to kick off their own writing. A+! Margaret Simon shares some glimpses of her journals (and poetry). Now I have journal envy! Poetry about real holidays you've never heard of (like World Rat Day) are the subject of both a new book by J. Patrick Lewis and Anna Raff and today's post at Jama's Alphabet Soup. Jama has also proclaimed today to be World Pat Day and wants you to jump in and tell her your favorite J. Patrick Lewis poem or poetry book. Eeps. I have to pick one???? A letter to a student and a Naomi Shihab Nye poem are a great mix over at A Teaching Life. This post is also part of a Slice of Life blogging challenge, as are others this week. Good stuff there, too! Outside truth, inside truth, and a poetry workshop are all part of Heidi's post today at My Juicy Little Universe. Clearly some great workshop results! Maria shares a process and a poem - definitely a process to try yourself - over at Teaching in the 21st Century. And I am jealous because she's done workshops with Kate Messner and Ralph Fletcher! Donna asks A Rhetorical Question over at Mainely Write... as well as a bonus poem and video. Whooooo are the poems about? Go over and see! No two ways about it - you must go see what Renee LaTulippe did when she had to write a poem using the word subterfuge for March Poetry Madness. Whew! Steve Peterson shares an original poem called Late Snow. Here in LA... well... I could write "Late Low 50's" but it wouldn't compare to what Steve's done. Daffodils, daffodils everywhere - that's what you'll find at Carol's Corner today. Sunshine yellow soul juice!!!! Indeed. Irony and poetry and schoolwork all mix together today at Radio, Rhythm & Rhyme. You make me laugh, Matt. I think he should get an A+ for his efforts today. And you? Poems of Goodbyes, you say? Yes, indeed. Linda at TeacherDance shares one of her own that's part of a bigger project. Check more out on her blog! David Harrison has an original poem up today - The Victim. It's part of his Word of the Month poetry shebang at his blog, something you can checkout... monthly! You gotta check out Portrait of a Trembling Poet, wherein Buffy Silverman (one of the March Poetry Madness's final 16 poets) details her process of how she crafted her poem using the word "gnawing." Houston Trail - Langley BC is both the inspiration for and title of an original poem that Violet Nesdoly shares today. There are photos, too! Jone shares the ways she's participating in National Poetry Month (including a project you can sign up for). How are you celebrating? Let her know! The Sea Gypsy appears... or really, is posted... over at Bildungsroman. If you're a fan of Richard Hovey or if you're not, go on over and be swept away in the wonder of the sea. Poetry is everything! That's the theme over at the Poetry Friday Anthology blog. Do you have the books? You must get the books. Just sayin'. Paintings and poetry mix at the Bald Ego blog... as do father and son. 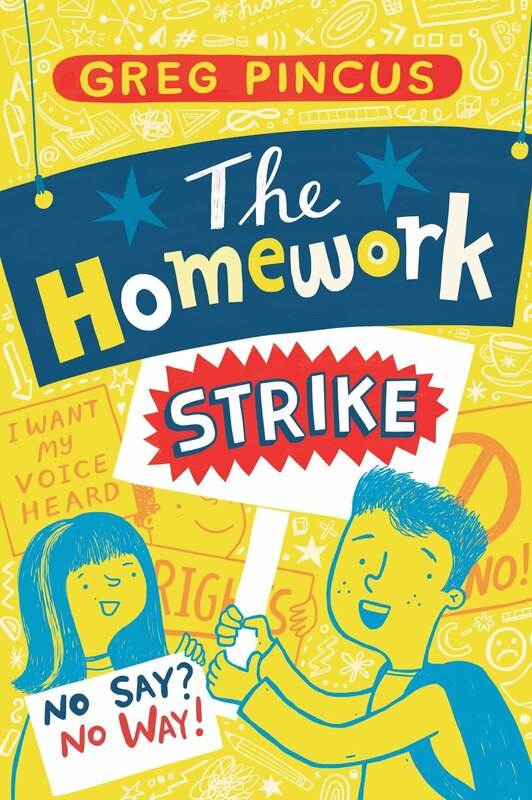 Charles and Chip Ghigna share a picture book in progress... and I hope we see it in stores, soon. Yes, yes, Nonets, I say! Joy plays with the form over at Poetry for Kids Joy. I've never written a Nonet... but her poems inspires me to try. Betsy at Teaching Young Writers shares her poem, I Want.... What a list! Makes one want to write a poem on the same theme, don't you think? Steampunk! Haiku! You Steampunk Me comes from Lorie Ann Grover... complete with a photo you just gotta see (cuz, like, someone out there is a way cool parent). Barbara Etlin shares her poem To My Neighbour's Cat over at the Owl's Quill. Is it an outdoor cat, one wonders? Read it and see! Over at Keri Recommends, Keri recommends a poetry book for your enjoyment (a recommendation, by the way, with which I completely concur). Check it out and feel free to share your faves there or here. Ruth shares Eleanor Farjeon's Morning Has Broken (which some of you might find yourself singing) over at There is no such thing as a God-forsaken town. She also shares some thoughts on teaching and her day with eighth-graders... making me once again say "hats off to teachers!" Cathy at Merely Day By Day is sharing an original poem - One Wish - today, and it asks a question that I will be mulling over for some time now. I guess it's rhetorical, but it's in my head now, and it'll probably be in yours, too. Oooh, there's an updated edition of a 1980 book of verses that I always liked - that's what I've learned from All About the Books with Janet Squires. Yup, you gotta go see what it is. Any guesses? Blake, Basho and a natural connection - that's what Becky's serving up at Tapestry of Words. And whoa - I wish I had the view behind my house that Becky has behind hers! I'm caught up with links... but keep 'em coming, y'all, in the comments below. Poetry Friday is like the New York City subway: there's always room for one more. It is rare that I focus on YA books here, probably because I am only 11 years old and don't yet read up. Or something like that. 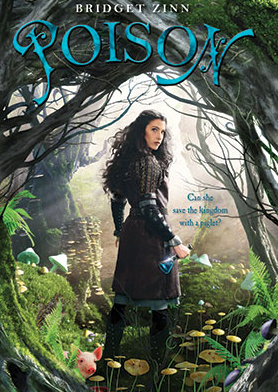 However, I did want to take a moment to talk about Bridget Zinn's debut novel, Poison. I met Bridget at an early Kidlitcon. I think it was impossible not to like her, even via a brief encounter. She just exuded positivity and good humor and... you know... you just liked her. So, it was exciting to see her on her path to publication, even though, unfortunately, she ended up on a simultaneous path of cancer, chemo and hospitals. Bridget passed away in 2011 at only 33. Nearly two years later, her book has finally arrived. Many people who new Bridget better than I did have written about her - her critique partner, E.M. Kokie and her agent, Michael Stearns among them. There's a blog tour, a Twitter tag of #poison, and much more. But really... what's going on here is a celebration of a debut novel that's garnering reader love. It's what all of us authors want. Are there deeper levels? Of course. So go kiss a loved one or rededicate yourself to your own manuscript or both! And maybe, in celebration, you can spread the word about Poison, too! My dog has it in for me badly. I swear he’s the worst cur on earth. He’s had against me since my birth. Instead, he finds new ways to hound me. My days are spent shaking with fear! None of my homework is here. This was a poem written for this year's March Madness Poetry shebang... though it did not help me advance to the next round, as you can see. My task was to write a poem using the word vendetta, by the way. I believe it was the first time I'd done so, and I was pleased enough with the result to share it here. If you want to get all the new poems here (and only the poems) emailed to you for freeee as they hit the blog, enter your email address in the box below then click subscribe! Shhhh. Don't tell anyone, but you might see some 30 Poets/30 Days news next week. Shhhh. 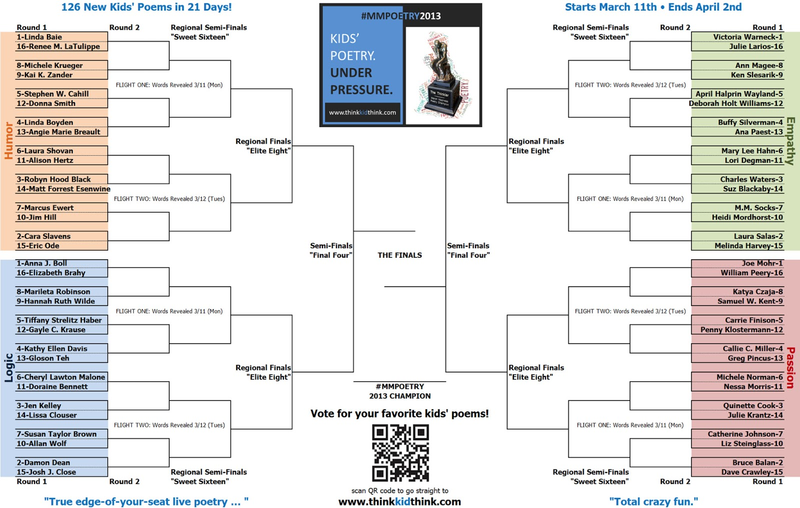 In the meantime, what about checking out March Madness 2013 and voting for some poetry? I'm locked in a poetic battle of my own over there that ends tonight, AND you can vote on a whole slew of great faceoffs by clicking here. Look for the Poetry Friday round up here a week from today... but in the meantime, go see this week's Roundup over at Jone's Check It Out blog. Sweeeeeet! 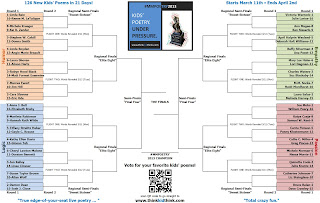 March Madness, poetry style, is back again thanks to Ed DeCaria at Think Kid, Think. And once again, I'm giving it a go along with 63 other poetry loving foo... errr... poets! The way the Madness works is pretty simple: we "face off" against another poet, each of us having 36 hours to write a poem based on an assigned word. This year, I'm a 13th seed, and that means my words are gonna be challenging. But isn't that the fun of it all? Yes! I hope you'll follow along with the whole bracket. I'm in action starting Tuesday the 12th, and others begin the 11th. 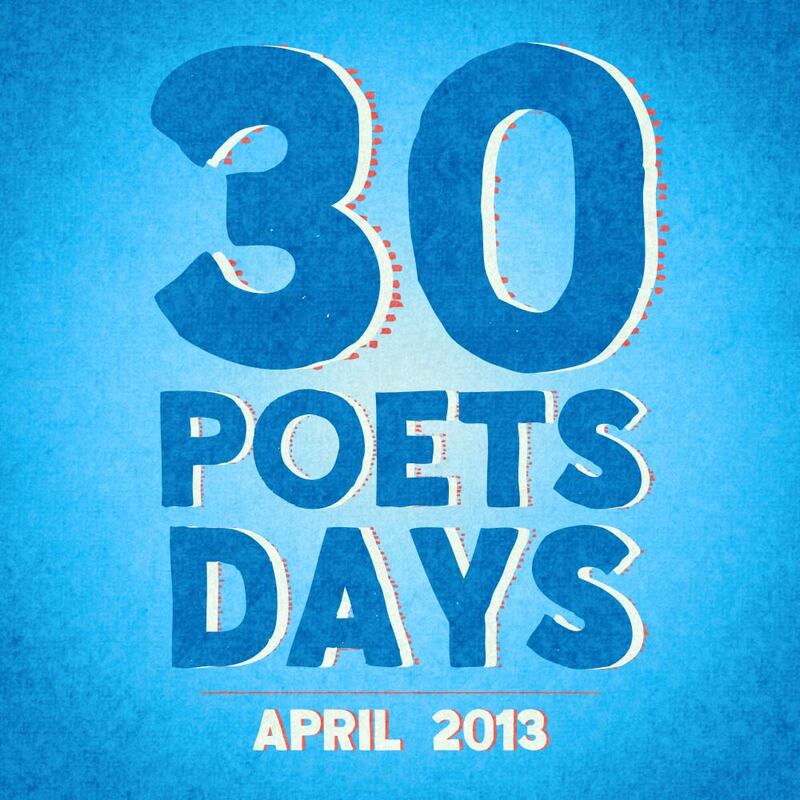 Last year was a blast and a great way to lead into the fun of National Poetry Month in April, too. Answering questions for hours with no rest. You want us to learn? Well, this isn’t the way. Sequester the tester and just let us play! I wrote this poem almost a year ago during last year's March Madness (the fantastic event masterminded by Ed DeCaria). During the Madness, some poor poet had to write a poem in 36 hours using the word "sequester"... and I decided it was such a great word, I'd give it a try, too, just cuz. And hey... it's Poetry Friday, so you can see what else is going on around the Kidlitosphere by heading over to the weekly roundup at Heidi's Juicy Little Universe. Plus, if you want to get all my new poems (and only the poems) emailed to you for freeee as they hit the blog, enter your email address in the box below then click subscribe!